Observation - Red Kite clouds - UK and Ireland. Description: The local Red Kites have a regular circuit over our garden, managed to snap this one as it flew over. 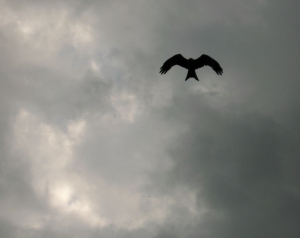 The local Red Kites have a regular circuit over our garden, managed to snap this one as it flew over.